Image: "Magnificat," © Jan Richardson. Preaching This Week at WorkingPreacher.org, Luther Seminary, 2013. 2010. Preaching Helps, Rev. Dawn Chesser, United Methodist Church General Board of Discipleship. "JTB: Faithful Inquirer," D. Mark Davis, Left Behind and Loving It, 2013. "Song of Joy and Justice," Kathryn Matthews, Sermon Seeds, 2016. The Lectionary Lab, Advent 3A, the Rev'ds Dr. John Fairless and Delmer Chilton (aka "Two Bubbas and a Bible"), 2013. Lectionary Lab Live podcast. Evangelectionary, December 15, 2013, Jonathan Shively, Evangelism Connections, 2013. "Healing the World," Advent 3A Bruce Epperly, The Adventurous Lectionary, 2013. Ministry Matters, December 15, 2013. "Heartbeat of Justice/Liberation's Song," SAMUEL, Kathryn Matthews Huey, Sermon Seeds, UCC, 2013. Comments (commentary) and Clippings (technical notes for in-depth study), Advent 3A, Chris Haslam, Anglican Diocese of Montreal. Girardian Reflections on the Lectionary, Advent 3, by Paul Nuechterlein & Friends. Social Justice Lectionary, Bruce Sweet, 2013. Lectionary at Lunch: homiletical helps from Concordia Journal and audio files of lectures by professors at Concordia Seminary, St Louis, MO (LCMS), 2013. Living by the Word, Katie Hines-Shah, The Christian Century, 2016. John's Blue Christmas, David Lose, ...in the meantime, 2016. "Are You The One?" Karoline Lewis, Dear Working Preacher, 2016. "The One Who Is To Come," Glenn Monson, Law & Gospel Everywhere, 2016. "It's the real thing...." Robert Warren, Clermont-Ferrand, 2016. "Are You the One?" Debie Thomas, Journey with Jesus, 2016. A Plain Account - Podcast - weekly organic conversations with commentators about preaching lectionary passages from the folks at aplainaccount.org. You Want It Darker, Debra Dean Murphy, Ekklsesia Project, 2016. "Fake News," Nancy Rockwell, 2016. "Gaudete in Domino Semper," Howie Adan, Just Off the Map, 2016. "Joy," commentary and discussion, RevGalBlogPals, 2016. "The Politics of dentifying Jesus and John the Baptist," Richard Davis, Political Theology Today, 2016. "Advent Doubts," Melissa Bane Sevier, Contemplative Viewfinder, 2016. "The Sign of the Crocus," Lynn Miller, Art & Faith Matters, celebrating our creative and living God by generating art and architecture resources for congregations and individuals. Art and Faith Matters facebook page contains additional resources. "The Irrational Season," Sermon Stories, 2016. "Suffering the Extremes of Kingdom," Andrew Prior, One Man's Web, 2016. Exegesis - Betty Jane Lillie, Mount St Mary's Seminary. "Tell Me Who You Are," Michael Simone, America: The National Cathoic Review, 2016. "Deserts yearn to bloom," Steve Godfrey, 2016. "The Holy Way," Journey to Penuel, 2016. "Great Expectations," David Sellery, 2016. "The Arc of Justice," Kristen Leigh Southworth, Modern Metanoia, 2016. "On God's Hopeful HIghway," Sharron Blezard, Stewardship of Life, 2016. The Reflectionary, Images, Reflections and Activities, 2016. "Disappointed with Godat Christmastime," David Lose, Dear Working Preacher, 2013. 2010. "Lo, Faithful Virgin," Dan Clendenin. The Journey with Jesus: Notes to Myself, Journey with Jesus Foundation, 2013. 2010. 2007 guest essay by Sara Miles. 2004. Reflections on collect prayers, Advent 3, Bosco Peters, Liturgy: Worship that Works - Spirituality that Connects. "The Holy Way," Rick Morley, 2013. "Where's Your Crocus?" Anne Howard, The Beatitudes Society, 2013. "Questions upon Questions," Peter Lockhart, a different heresy, 2013. "Something about Heaven," Katie Munnik, Presbyterian Record, 2013. "The Spirituality of Advent, III," Melissa Bane Sevier, Contemplative Viewfinder, 2013. "Life is a Highway," Sharron R. Blezard, Stewardship of Life, 2013. 2010. "Great Expectations," David Sellery, 2013. "Be Patient," sermon discussion from Frederick Buechner, Frederick Buechner Blog. Care for Creation Commentary, Bob Saler, Lutherans Restoring Creation, 2013. "Patience on the Highway," Christopher Burkett, PreacherRhetorica, 2013. "What Are You Waiting For?" Ragan Sutterfield, Ekklesia Project, 2013. "Are You The One?" Bob Cornwall, Ponderings on a Faith Journey, 2013. "The Blind Receive Their Sight," Janet H. Hunt, Dancing with the Word, 2013. "Rivers in the Desert and Stinking Corpses," John C. Holbert, Opening the Old Testament, 2013. "A Burning and a Shining Lamp," Suzanne Guthrie, At the Edge of the Enclosure, 2013. "Keep the Motor Idling," Steve Goodier, Life Support System, 2013. "Miracles Happen," Bob Stuhlmann, Stories from a Priestly Life, 2013. "Want Proof?" Thomas Beam, 2013. "Community and Mission," George Donigian, Upper Room Books, 2013. "When Faith Falters," Advent 3A, Peter Woods, I Am Listening, 2010. 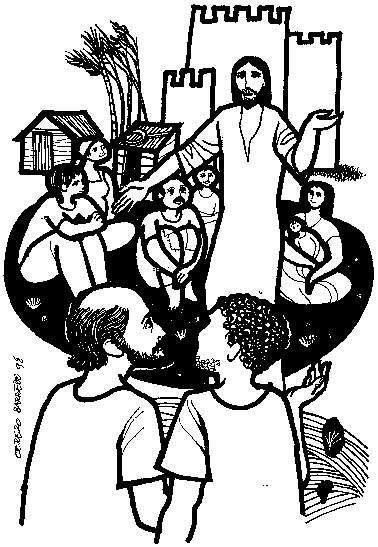 Lectionary Blogging, Matthew 11:2-11, John Petty, Progressive Involvement, 2010. "When Prison Bars Bed Light," Jan Richardson The Advent Door, 2010. Use of Images. Holding Hope: Knowing Joy, Ashley-Anne Masters, Expecting at Advent, Week 3, Kira Dault, Church Health Reader, 2010. "Waiting Patiently - An Advent Lectionary Meditation," Bob Cornwall, Ponderings on a Faith Journey, 2010. "Advent Outdoors," Debra Dean Murphy, Intersections, 2010. Grounded and Rooted in Love, Advent 3A, Matt & Laura Norvell, 2010. "Jon Stewart, the End Times and the Season of Advent," Debra Dean Murphy, Intersections, 2010. "My Soul Proclaims: Submission and Subversion in Mary's Magnificat," guest essay by Sara Miles, The Journey with Jesus: Notes to Myself, Daniel B. Clendenin, Journey with Jesus Foundation, 2007. 2004 reflections by Dan Clendenin. Dylan's Lectionary Blog, Advent 3A, 2004. Biblical Scholar Sarah Dylan Breuer looks at readings for the coming Sunday in the lectionary of the Episcopal Church. "Hope in the Toxic Wilderness," David Selzer, Proclaiming Gospel Justice, The Witness, 2004. "Drawing Mary," by Rachel May. A Sermon for Every Sunday. Video sermons from America's best preachers for every Sunday of the liturgical year. Modern Day Prophets, Sil Galvan, 2016. "Looking for Christmas?" the Rev. Maxwell Grant, Day 1, 2013. "Be Patient," Frederick Buechner Sermon Illustrations. "Expecting the unexpected Messiah," the Rev. Dr. Amy E. Richter, Sermons that Work, Episcopal Digital Network, 2013. 3 Adviento (A) – 2013, el Rvdo. Enrique Cadena, Sermones que Iluminan. Göttinger Predigten im Internet: Every Sunday Sermons based on the RCL by a team of Lutheran theologians/ pastors, 2013. "What's the Plan?" the Rev. Daniel Matthews, Jr., Day 1, 2010. "Are You the One Who Is to Come?" the Very Rev. Samuel G. Candler, Day 1, 2007. "Be Strong, Do Not Fear," Faith Element, 2013. "Song of Joy and Justice," Weekly Seeds, UCC, 2013. Bible Study, Advent 3, 2013, Brian Pinter, General Theological Seminary, Sermons that Work, Episcopal Digital Network. Estudio de la Biblia. 3 Adviento (A) por Brian Pinter, Sermones que Iluminan, 2013. "Everlasting Joy," Advent 3A, Lesson Plans that Work, Episcopal Digital Network, 2013. Worship Planning Helps (Advent 3A): Worship & Preaching Notes, Hymn Suggestions and Worship Resources from the United Methodist Church General Board of Discipleship. Mustard Seeds, "Healing and Transformation," Advent 3A, 2016. A lectionary-based ideas resource for leaders of contemporary worship, Ann Scull, Gippsland, Australia. Worship Resources, Rev. Mindi, Rev-o-lution, 2016. LCA Worship Planning Page, Advent 3A, 2013. "Everything lay-readers need to prepare worship." Worship resources for Advent 3 based on Isaiah 35:1-10 — Psalm 146:5-10 — James 5:7-10 — Matthew 11:2-11 by Beverly S. Bailey from SermonSuite. Lectionary Liturgies, Advent 3A, Thom M. Shuman, Presbyterian Church (U.S.A.). Worship and Liturgy Resources, Advent 3, by Rev David Beswick, Uniting Church in Australia. Liturgy for the Celebration of Life, Advent 3A, 2010. Liturgies from a Progressive/Post-Liberal Theology, Revd Rex A.E. Hunt, Uniting Church in Australia. Liturgy for Advent, Rev. Bosco Peters, New Zealand. Adapting Advent to the Southern Hemisphere. Laughing Bird Liturgical Resources, Advent 3, by Nathan Nettleton, South Yarra Community Baptist Church, Melbourne, Australia. Prayers, blessings, Eucharistic prefaces and scripture paraphrases. The Billabong, Advent 3, by Rev Jeff Shrowder, Uniting Church in Australia: Hymn suggestions and paraphrases of lectionary Psalms. Lector's Notes, Advent 3, Gregory Warnusz, Saint Jerome Parish, Bellefontaine Neighbors, MO. 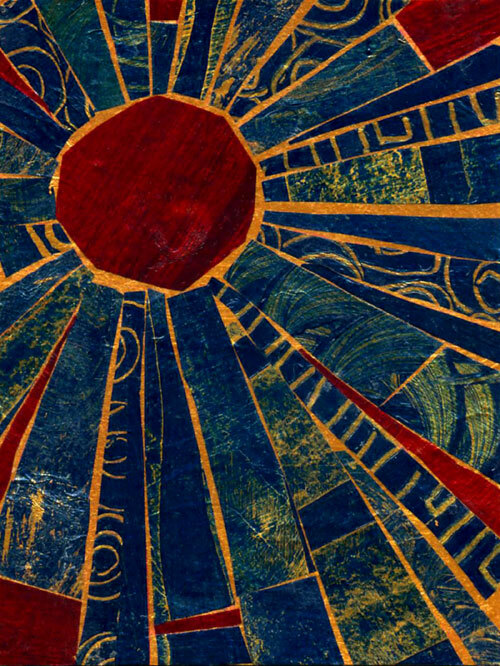 Notes and commentary for those reading this week's lectionary texts to the congregation. Introductions to lectionary readings for readers, Advent 3A. Chris Haslam, Diocese of Montreal. Lighting of Advent Wreath Litanies for Year A, The Rev. Sheila N. McJilton, St Philip's Episcopal Church, Laurel, MD. Free use, please attribute to author. 21st Century Worship Resources, Advent 3A, UMCDiscipleship.org. Offertory Prayers, Advent 3A, UMCDiscipleship.org. The Timeless Psalms, Psalm 146:5-10, Joan Stott, prayers and meditations based on lectionary Psalms, 2013. Service Prayers, Worship Ways, UCC. Immraam Chara, prayers, and worship prayers for Advent. Free Sample for Advent 3. Advent in Four Movements, poetry by Stephen Bowie, 2016. HermanoLeón Clipart, Advent 3a. Free clipart, backgrounds, slides, etc. Free Public Domain Clipart for Church Bulletins: Isaiah 35, John the Baptist, Luke 1, Mary, Church Bulletin Resources. Clip Art, Advent 3, Fr. Richard Lonsdale, Resources for Catholic Educators. Clip Art Images: Matthew 11:2-11, Misioneros Del Sagrado Corazón en el Perú. Advent 3 at Cerezo Barredo's weekly gospel illustration. Follows Latin American Roman Catholic gospel reading, though most gospels texts/themes are found in the index. Liberation emphasis. Mustard Seeds, "Healing and Transformation," Advent 3A, 2013. A lectionary-based ideas resource for leaders of contemporary worship, Ann Scull, Gippsland, Australia. Jacob's Well Advent Films and mp3 sermons. "Growing Lizard," video, John Stevens, Dollar Store Children's Sermons, 2013. "Happy are Those Whose Help is the God of Jesse," Lisa Nichols Hickman, ON Scripture, Odyssey Networks, 2013. Video: Newtown's Rev. Matthew Crebbin reflects on the anxiety about the anniversary of the Sandy Hook Elementary School shooting and transforming grief and anger into love and action to make a better world. "Come On In!" (Isaiah 35) inclusivechrist, 2013 (video). Advent Hymns, some set to traditional Christmas melodies. Are You the One Who is to Come? , Carolyn Winfrey Gillette, Tune: ST. LOUIS 8.6.8.6.7.6.8.6 ("O Little Town of Bethlehem"), The Presbyterian Outlook magazine. Mary Heard the Angel's Message, Carolyn Winfrey Gillette, Tune: BEECHER 8.7.8.7 D ("Love Divine, All Loves Excelling"), Presbyterians Today Outlook magazine. "Hearts," "Stand Firm," "How Long We've Waited," Brenton Prigge, NewHymn, new hymns set to traditional tunes. Psalm Settings by Dale A. Schoening, Metrical Psalms, Psalm 146:5-10 set to St Thomas (SM 66 86). Hymn and Song Suggestions, Advent 3A, 2016, annotated suggestions from Natalie Sims, Singing from the Lectionary. Lectionary Hymns, Advent 3A, UMCDiscipleship.org. Shepherd Sounds, Advent 3A, Choral Evensong. Advent 3A. Background information for hymns and choral music following the lectionary from the Episcopal Church of the Good Shepherd, Austin, Texas, by Eric Mellenbruch and David Zersen. Sing for Joy, Advent 3A, 2007. Choral reflections on this week's lectionary readings, St. Olaf College. Children's Puzzle Pages, Fay Rowland, The Reflectionary, 2016. Lectionary Puzzles, Advent 3. Word search puzzles in RTF or plain text, by Reg McMillan, St.Stephen's Presbyterian Church, Peterborough, Ontario. Worshiping with Children, Advent 3A, Including children in the congregation's worship, using the Revised Common Lectionary, Carolyn C. Brown, 2013.2010. "Storypath Lectionary Links: Connecting Children's Literature with our Faith Story," December 15, 2013, Union Presbyterian Seminary. Connections: Isaiah 35:1-10 and The Curious Garden by Peter Brown, James 5:7-10 and Berries for the Queen: A Book about Patience by Janet Noonan and Jacqueline Calvert, Mattthew 11:2-11 and The Bravest Dog Ever: The True Story of Balto by Natalie Standlford. 2010. Jesus' Job Description -- Children's sermon by Wesley T. Runk based on Matthew 11:2-11 from SermonSuite. Little People, Big Word, Dianne Ditmer, 2013. "Gathering Advent 2013," Fran Woodruff, On The Chancel Steps, 2013. I've Got the Joy, Joy, Joy, Joy, Anna Shirey, Anna's Hosannas, Children's Lesson for Advent 3A, 2010. "Are you the One?" Advent 3A, Lesson Plans that Work, Episcopal Digital Network, 2013. "Life Sentence," Nadine Laughlin, dramatix.